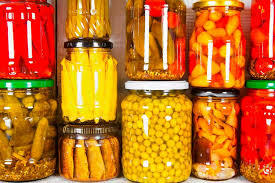 Brine is an important component for fermenting vegetables since they provide the environment that allows the fermentation process to take place, and the right type of brine in the right quantity can enhance the flavors and add a lot to the process. 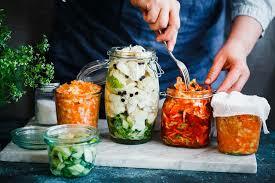 Salt is one of the easiest brines to use if you’re looking to get started on your own batches of fermented vegetables. It not only pulls out moisture (and allows only salt-tolerant Lactobacilli strains to thrive), but also hardens the pectins in vegetables. This keep the vegetables crunchy while also adding to the flavor. Sea salt – This can be refined or unrefined, and is usually moist since it hasn’t been fully refined after being separated from sea water. Himalayan salt – While sea salt is extracted from the sea, Himalayan salt is extracted from rocks, which is why it can be pinkish or reddish in color. Pickling salt – Similar to iodized table salt in that it has been refined. However, pickling salt lacks the iodine and anti-caking agents that are present iodized salt, and because it’s refined, it may also not be the optimal choice for fermenting. When using salt as a brine for fermenting fruits, condiments, and especially salsa and chutney, do use them in smaller amounts that you would otherwise use in vegetables. Whey is often used as a culture starter for lactic acid fermentation because it’s full of healthy bacteria and enzymes that improve your gut flora, and this makes it a great brine for vegetables. You can strain whey from dairy products such as yogurt, milk kefir, and even certain cheeses or cultured buttermilk. However, the downside of whey is that it’s dairy-based and may not be good for people who are sensitive to this. 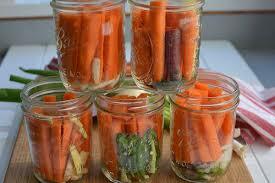 If you have lactose intolerance, this may not be the best brine for you to ferment your vegetables with. Other types of bacterial starters can be bought in different health stores in Singapore, or ordered online, and depending on the strain, it can be used along with salt. But if these aren’t available, keep in mind that you can use substitutions for culture starters, such as whey or even salt, and they can still be used interchangeably in any recipe. You also don’t need to throw away the brine from a previous batch. In fact, this brine can also be used for the next batch of vegetables, and this can save you a lot of time in preparing them for fermentation.